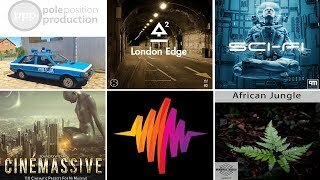 Interest in indie sound effects just continues to grow to amazing new heights – and with August coming to an end, here’s an overview of 9 of the indie SFX libraries that were particularly popular this month. The duration of each sample varies from a minute to almost two minutes which should give you enough room to create the needed loops if you desire so. 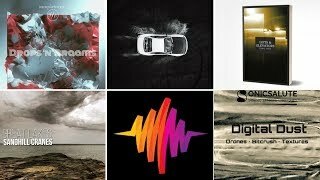 Combine and layer provided drones to create bigger, deeper and more intense ambiences. Kalipso Atmospheric Drones are designed to complete any sci-fi or dark ambient setting in video games, movies or animation projects. Update vol. 1 brings 14 additional atmospheric drones. When you buy this library, you also get the Whooshers SFX pack for free – a collection of 150 long, medium, short and ricochet whoosh type sounds which can be used for all purposes.